This weekend is a little jam packed for me but full of fun activities in the city. 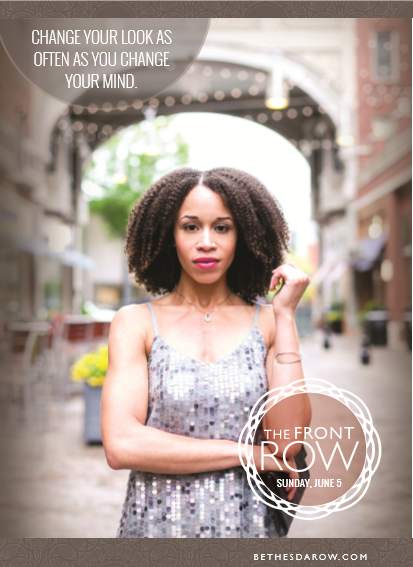 One occasion that I am pretty excited about is The Front Row at Bethesda Row which is this Sunday June 5th. It’s a great event where you get to brunch, shop, sip on cocktails and, not to mention, support a great cause - the DC Newsbash Breast Cancer Charity. The festivities start at 11am, the Fashion Show kicks off at 12:30pm, and then the different stores are hosting VIP parties for you to shop the looks from the show. And if I didn't convince you already, here are some pictures of the event last year. Super cool! Love the Summer vibes to it!